The day after the conference, we visited the towns of Southern Iloilo and Antique, my 59th province. From the hotel, we took a van and stopped by the towns of Tigbauan and Guimbal, which I was not able to visit during my previous visit, to check out their churches. 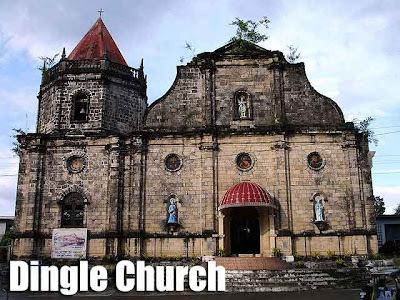 We then proceeded to the UNESCO World Heritage Site, the Miag-ao Church and the cemetery chapel, also in the same town. 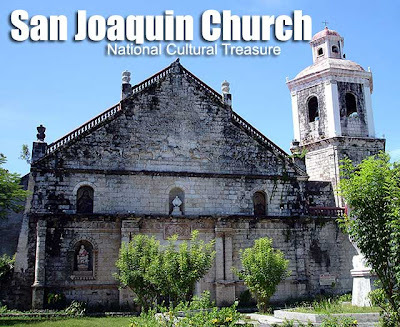 In the next town was a National Cultural Treasure, the San Joaquin Church. But equally impressive was the well-preserved cemetery which has maintained its old and uncrowded look. From there, we drove down to Antique. But we stopped over first at the junction point called Tiolas to have lunch. I got myself an order of batchoy. From there, we took the road less traveled to the southernmost point of Panay Island, the town of Anini-y. 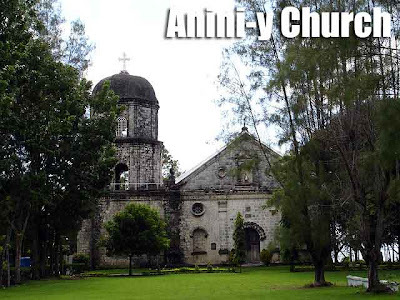 The Anini-y Church was very much intact and I hope that it is declared a National Cultural Treasure soon. It was most definitely worth the visit. Our companions had to drive back to Iloilo City since they were leaving that night, but Archt. Richard Bautista and myself opted to stay behind to continue further up north to visit the other towns of Antique. Transportation was scarce and we had to wait for 30 minutes for the next jeep to arrive. Our next stop was the town of Hamtic since the cemetery chapel there was quite intact. 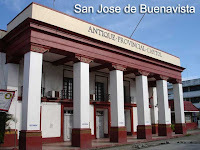 From Hamtic, we took another jeep to the capital of Antique, San Jose de Buenavista. After taking photos around the Antique Capitol, we rushed to get a jeep to Patnongon to check out more heritage structures there. Although in ruins, the church, casa real and an old bridge are still standing and I hope it remains that way. We had to rush back to San Jose to try to get a bus back to Iloilo City. If we got stranded in Antique, we were prepared to stay for the night. But good thing we were able to find a bus back and got back to Iloilo City. The next day, it was raining hard so I was too lazy to get up. Our plan was to go around Central Iloilo. But we decided to continue our church and cemetery tour since it looked like the weather was improving. From the hotel, we took a cab to La Paz for lunch. Where else to try batchoy than where it was born! We ate at Deco's. From there, we took a jeep to Jaro, where we boarded another jeep to Cabatuan. We got off at the cemetery a few kilometers from town. The walls and chapel was still intact. We then took a tricycle to the town proper. The church was gargantuan with two exaggeratedly large belfries on either side of the facade. Its stone retablo is said to be the tallest in Iloilo after the Oton Church was destroyed during the 1948 earthquake. From Cabatuan, we took another jeep to Janiuay. After visiting the ruins of the church, we took a tricycle to the cemetery. I've seen photos of this all the time but was quite disappointed when I got there. It was quite neglected. 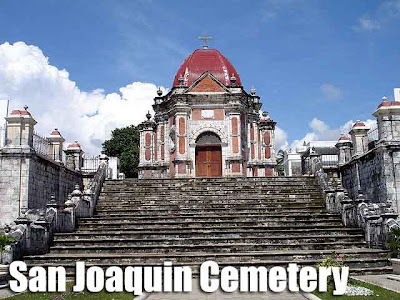 To me, the best cemetery I visited is the one in San Joaquin which I heard was recently restored. From Janiuay, we took a jeep to Pototan and transferred to another jeep to Dingle to visit the church. Good thing there was English Mass. We were planning to visit Duenas but since we had a flight to catch, we took a jeep straight to Iloilo City. They sure know how to stuff the jeepney! There were three passengers in front plus the driver, thirteen on either side, plus about eight in the middle, and even some holding on outside! In Iloilo City, I took some photos in Jaro before we proceeded for a quick dinner in one of the chicken inasal restaurants. It was then a mad rush to the airport and we got there just in time since I got my favorite front row seat. Hehe! 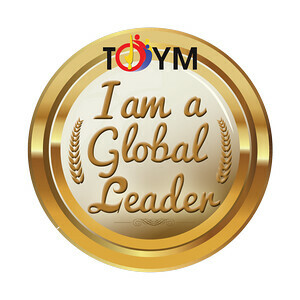 Its good that you reached all the way to Patnongon. Antique may be nearer to Iloilo but the accessibility is quite tiresome. I think you enjoyed your trip with Sir Richard. I don't know how in the world did ICCHS came up with the conclusion that Deco's is the first Lapaz Batchoy. There is an Inggo Lapaz Batchoy that was established in 1920 compared to Deco's 1938(??) --- Isn't that distorting history?? I wouldn't know either. I said it was born in La Paz and that we ate at Deco's. I'm sure batchoy is older than 1920 even. So no one could claim to be the oldest. Exactly. That's why I mention it for awareness. What I don't understand is that ICCHS, thru their Iloilo City cultural tour, identifies Deco's as the first lapaz batchoy. I hope you could make mention it to your friends from ICCHS so that they could make necessary corrections. Its embarrassing and at the same time unfair to some establishments that came before it. I am dismayed with what the the parish does to the facade of the HAMTIC church. The church was repainted facing off the old mossy grayish colour which depict the old beautiful skinned of the church. 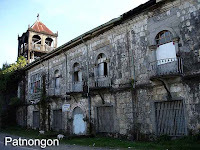 Maybe it is a good thing that prior the parish do such move, eventhough they have the ultimate right to do the bautification or improvement of the church, must consult firt with the Philippine Historical Institute or any agency attach to that matter. I am happy to know that you have visited my beloved hometown, San Joaquin. I am proud to say that we have two National Cultural Treasures, the church and the cemetery. I don't know If you have noticed the Convento ruins beside the church covered with Cadena de Amor. I am just disappointed to see that the ruins have been constructed with modern structures and being used by religious organizations as their office. Lapaz Batchoy belongs to the rich culinary heritage of Iloilo City. Its just unfortunate that some entities are using its fame and its stature as a wagon for their own selfish interests. what is ICCHS? batchoy is a chinese fast food item which you will still see in Guangdong. so i guess it should be older than Inggo's 1922. Btw, where is Inggo's? .... but you'ved missed Garin Farm & Resort... also in San Joquin.. you should have stayed there overnight! Manila: Abe Restaurant turns one! Pampanga: The Ulitmate Kapampangan Show-off!